Astrology - Science Or Art Form? I believe that one of the greatest difficulties we are all facing is learning to trust the goodness of the Universe that it always takes care of us and all our needs. You may well ask now: ‘How can anyone do that after all that has happened in our world during past ages and still is taking place now?’ In my struggle to come to terms with such things, astrology undoubtedly is my most valuable tool. So, what is it? A science and an art form? By some, including myself, it is considered to be the Divine science. When the knowledge it can provide is used with humility, a loving heart and an appreciation of the source of its wisdom, it can provide us all with a better understanding of ourselves and each other, of life itself, the Universe and everybody’s place within it. There is no doubt in my mind that astrology is a gift that was given by the wisdom of the Great Spirit, Father/Mother, to Its children of the Earth, to assist us in making some sense of our existence, and showing us the way back home into our true nature. Although it has been and still is used by many for trying to predict the future, I feel that it is much better for human souls to learn to trust that the Universe will always bring to each one of us whatever is right in any given moment. Instead of fortune telling, I prefer looking for the esoteric meanings of astrological terms and symbolisms. In that way astrology reveals itself to the astonished onlooker’s eyes as a precious tool for finding a new understanding and a fresh approach to the relationship between humankind, our solar system and the whole of Creation. Naturally, I would not dream of stating categorically that astrology is this, that or the other for everybody. All I can tell you is what it represents for me and how I like to use it. To me, it is but a means to an end, and that is finding a firm grasp of the underlying esoteric principles of the physical presence of the planets in the sky above us. Observing how the planets, the signs and the houses relate to the character and typical behaviour patterns of every human soul on its evolutionary pathway, I find endlessly fascinating. And it is amazing how astrology can point us towards fulfilling our highest potential, and where hidden treasures might be discovered, if one digs sufficiently deep into one’s soul memories. This to my mind is of the greatest importance, because through consciously working on this is it is possible to influence our individual destiny, as well as that of the collective. As children of the One and of life itself, it is up to each individual soul to re-align itself with the energies and the forces of the Universe. And there could be no better tool than astrology for pointing us in the right direction. 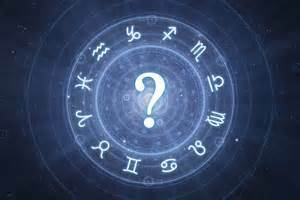 Astrology is something that the Universe lovingly puts into the hands of all those who reach out for it, showing their readiness and willingness to receive it. The amazingly accurate way astrology works is proof enough for me that there really is such a thing as a Great Plan in the heartmind of God, in which every individual soul and the soul of all nations and worlds have their allocated and predestined place.